Adam’s financial services experience stretches back more than 30 years, and a majority of it has been spent with Adviser Investments as a portfolio executive and member of our Portfolio Review Committee. Adam began his career in 1985 as a performance measurement specialist for Bond Timing Services, where he provided analytical support to the firm’s portfolio managers. 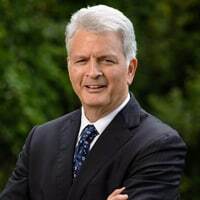 In 1990, Adam was president of Telecost Management, a telecommunications consulting company that specialized in analyzing telecommunication systems for non-profits. He spent five years with George Kinder Financial Services as a financial adviser, working with private clients on investment, estate and retirement planning concerns before joining Adviser Investments in 2000. In 2019, he was honored in Boston magazine for the sixth time as a Five Star Wealth Manager. Adam graduated from the University of Massachusetts with degrees in art and economics, and earned his master’s degree in education from Tufts University. He was awarded his CERTIFIED FINANCIAL PLANNER™ designation in 1999 and is a member of the Financial Planning Association (FPA). Adam lives in Lexington, MA, with his wife and children.